John 'Mulga' Shelton, pictured right in 2014, never forgot his playing days [left] including at Shepparton under good mate, Tom Hafey. 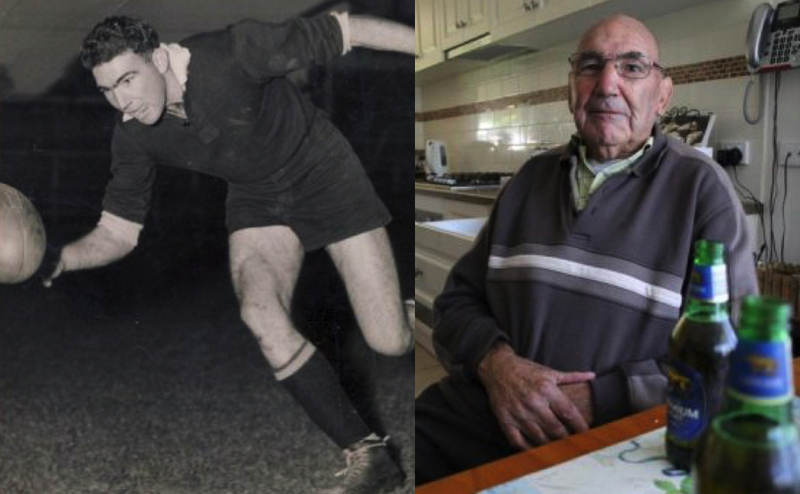 The local community lost a sporting legend recently with the passing of John ‘Mulga’ Shelton at the age of 84. Only ever really called John by his wife Joan and his immediate family, Mulga never really knew how he got his nickname. His earliest memory of it was that when he was going to St John’s in Kooweerup, he used to play down by the back of the school with the older kids in amongst the tea trees and bushes. He thought that’s where it stemmed from, and it stuck for life. Mulga was a prodigiously-talented sportsman and forged a reputation as a local footy icon, even playing six senior games with Fitzroy in 1957, but more importantly he was always an all-around great bloke to all who knew him. He grew up on a farm in Kooweerup, and his dying wish was that his life would end in the town. Thanks to some extraordinary efforts, he was granted that wish with only hours to spare before passing away last month. It’s no surprise that Mulga fought his battle with cancer so valiantly. He was always a fighter – right back to his first day of school when he had three fights, winning them all against people who would later become lifelong mates. Mulga’s determination and never-back-down attitude helped make him the person he was. Growing up in Kooweerup, kids from the farms throughout the area would often get together and play scratch matches of cricket or footy on a Sunday afternoon, and this no doubt played a huge role in Mulga’s lifelong love of, and involvement in, both sports. Never much of an academic, he left school before he was 14 and on his last day he picked up all of his books and threw them in the Bunyip River before opting to work picking asparagus seven days a week. He was always a tireless worker, particularly in providing for his family, and was still doing some casual work before finally retiring at 72. 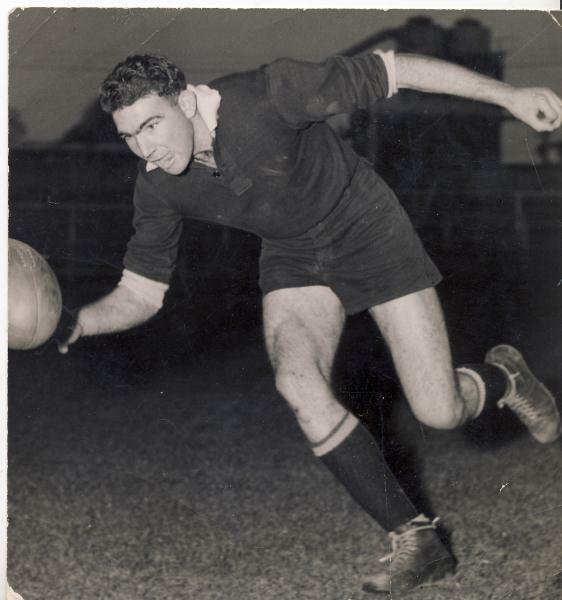 Mulga’s footy career started with Kooweerup and he played there between 1952 and 1958. He would ultimately go on to be named in the club’s ‘Team of the Century’ – undoubtedly one of his proudest sporting achievements. He always harbored VFL ambitions and trained with Richmond in 1956 but the last practice match of that season coincided with Mulga’s cricket grand final. Given his side was already missing two players, he felt he couldn’t let his mates down so he withdrew and continued playing with Kooweerup. But he finally got his chance in 1957, with his claim to fame playing a total of six games and shirt fronting the great Ron Barassi in one of them. 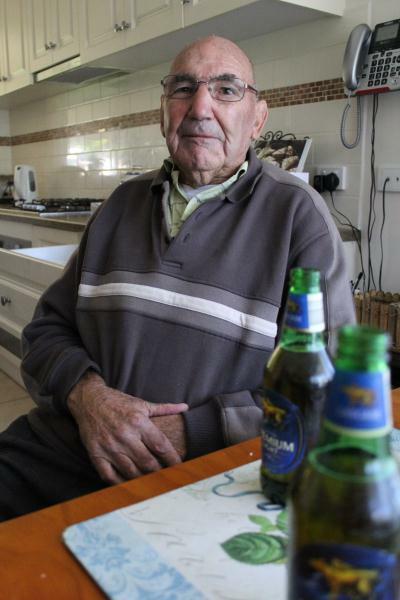 Mulga spoke to the Gazette for its ‘Beer O’Clock’ segment in May 2014 about his life in sport. His biggest highlights were not only his first league game, but also the consecutive premierships he won under football icon Tom Hafey at Shepparton in 1964 and 1965. One of his most famous stories stemmed from the 1965 Goulburn Valley grand final between Shepparton and Kyabram where he was hailed as both a hero and a villain. With just seconds to go and his side leading by seven points, Mulga took a mark in the Shepparton goal square. The siren sounded and with all the cheering from the vocal Shepparton crowd, he didn’t hear the screams from the club president and others to “kick it, Mulga!”. He couldn’t see that there was anything to be gained by taking the shot on goal, so he threw the ball back to the umpire – not knowing that there was a syndicate of local punters who had a huge bet, reportedly involving hundreds of pounds, that Shepparton would win by more than two goals. If he’d converted from straight in front, the margin would have been exactly 13 points. When speaking to the Gazette in 2014, Mulga couldn’t quite recall how long after that infamous game he found out about the bet but he never got paid that season. “The bloke who cut my hair probably did a s***house job, that’s probably how I found out!” he said with a laugh. His hairdresser was the one who used to pay him. 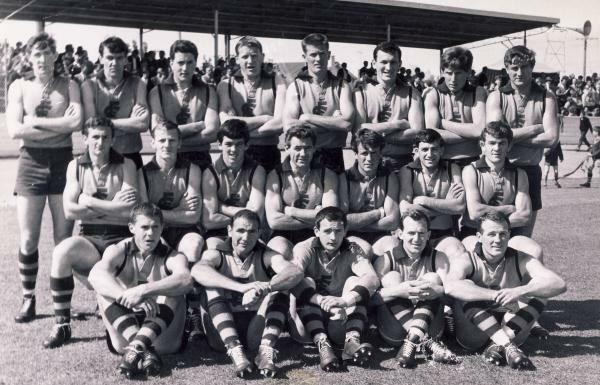 In addition to his time at Kooweerup, Fitzroy and Shepparton Mulga also had stints at Lalbert, Foster, and Mornington and was part of Dandenong’s premiership-winning VAFA team in 1962. It was in 1963, during his time as a playing-assistant coach of Ganmain near Wagga, that he met the love of his life Joan at a dance. They married a year later on 29 February in Wagga, and their children later joked that the date was set deliberately so Mulga would only have to buy Joan an anniversary present every four years! During their time at Shepparton, Joan remembered Hafey often coming around to pick Mulga up to go to the local butcher’s to watch World of Sport because that was the only place in town with a high enough antenna to get the coverage. They would return at around 3pm and sit with their cups of tea just talking footy. Mulga eventually retired from playing in 1966 after a season as coach of Pakenham, where he also loved playing cricket. Over the years he was a constant member of the C and D grade ‘Dad’s Army’ premiership-winning teams. After his cricketing journey, Mulga’s father-in-law convinced him to take up bowls and he fell in love with the game, playing for a number of years and ultimately being awarded life membership of the Pakenham Bowls Club in 2017. Mulga also loved to travel, particularly talking to the people he met along the way, and he and Joan enjoyed two overseas trips. In 1989 he won a trip to London from radio station 3UZ to watch Melbourne play Essendon in an exhibition match. Mulga and Joan extended their trip by going on a European tour. On their flight home, just before arriving in Melbourne, hot towels were handed out by the stewardesses to freshen up. Joan then caught sight of Mulga with one of the towels in his mouth – thinking it was a sausage roll! Seven years later, the pair enjoyed a five-week trip to North America with one of Mulga’s highlights visiting Alcatraz in San Francisco, despite his refusal to walk into one of the prison cells for fear of the doors slamming shut behind him! That was Mulga – lovable, entertaining, and a great people person. He had six children – Kris, Mark, Melissa, Michael, Peter (dec), and Paul (dec) – and 10 grandchildren, nine of them boys. He is sadly missed. Information from Mulga’s eulogy, delivered by his daughter Kris, contributed to this article.